Ylang Ylang Essential Oil, pronounced as Eee-lang Eee-lang, was one of the first essential oils that I ever purchased and worked with. I couldn't resist its intoxicating aroma. Ylang Ylang Essential Oil is a rather interesting essential oil as its distillation varies a bit from most other oils, and this can affect the composition and aroma of the oil. Ylang Ylang Extra Essential Oil is typically distilled for a short duration of time before the essential oil is collected. Ylang Ylang Extra is said to contain approximately 30 constituents, with a high proportion of esters, ethers and phenols. After oil classified as Ylang Ylang Extra Essential Oil is collected, the distillation process then continues. After a specific period of time, the distillation process is stopped and the resulting oil is then again collected. That oil is then referred to as Ylang Ylang I Essential Oil. The process repeats, resulting in Ylang Ylang II and Ylang Ylang III. The duration between distillations and the details can vary between distillers. The distillations are generally referred to as fractions and are typically used within fragrancing and perfumery applications. Ylang Ylang Complete is the essential oil obtained from a complete, uninterrupted distillation. There are instances when an oil labeled as Ylang Ylang Complete may really only contain a subset of the distillations. It may be prudent to check with your vendor to the exact distillation details of their Ylang Ylang Complete. 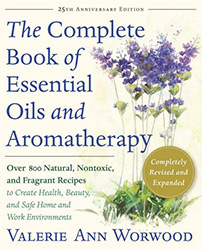 Within holistic aromatherapy, typically the Extra and the Complete oils are preferred. The other fractions are generally used within fragrancing and perfumery work. Emotionally, Ylang Ylang Essential Oil is heralded for being helpful with stress and anxiety. It's also used in cases of depression or when trying to cope with anger. I use Ylang Ylang Oil in blends intended to focus upon happiness, gratitude and celebrating blessings. Ylang Ylang is also considered an aphrodisiac. Be careful when first using Ylang Ylang Essential Oil as it can cause headaches for some individuals, especially if diffused in high concentration. Source: Julia Lawless, The Encyclopedia of Essential Oils (Updated Edition) (London: Harper Thorsons, 2014), 204-205.